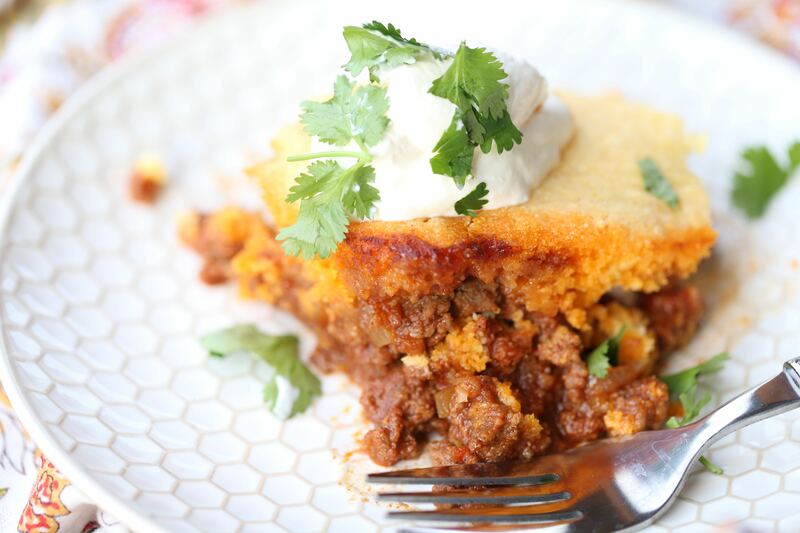 If you grew up somewhere below the Mason Dixon line, you might recognize this old favorite, Paleo Tamale Pie! 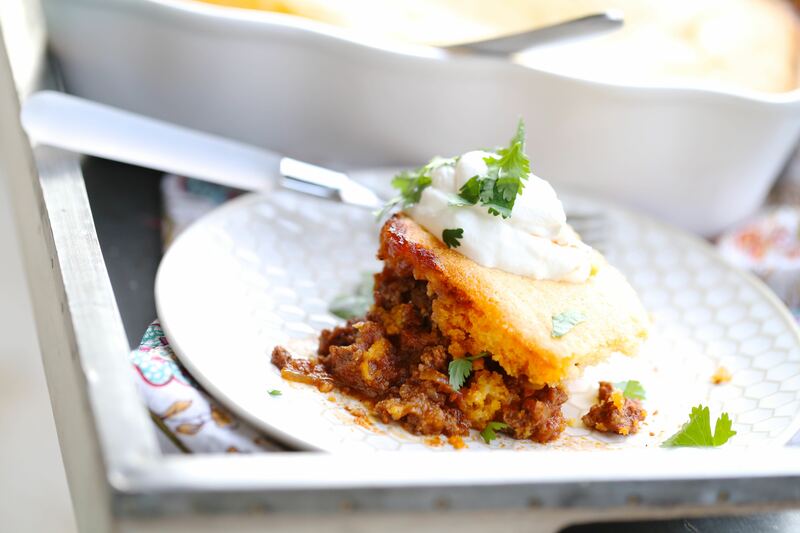 This time made without a touch of grain or legumes! Boy do I have a lot to unload on y’all, but thanks golly this is a food blog and instead of all the emotional unpacking I’ve been up to, you get a recipe instead! But before we dig into the meat of the good part, I do want to mention something on the more serious side of Southern cooking. My healing has been a long, slow, sometimes painful journey. And I’ve done SO much good with food. And SO much good with supplements and educating and advocating for my health. And I’m so grateful to have gotten to this point. I really am. But I’m discovering a whole lot more that goes into healing than just food. Or even “mindset.” The big meaty parts of healing are sometimes derived from the parts nobody wants to look at or acknowledge. Because pretending everything is fine is so much prettier isn’t it? Last week I unveiled some major childhood trauma that I always recognized through a different lens as being somehow normal. I was convinced that we had it better than so many (because we did) but that does not necessarily mean that things were good or that there was not suffering in my childhood. I want to urge you, if you are on your own healing path, and you have not looked into healing the mind, to potentially examine some things completely unrelated to kale and yoga and positive affirmations. The mind is incredibly powerful, which is amazing and also quite frightening at times. If you have not read Breaking the Habit of Being Yourself  or Childhood Disrupted  or The Body Keeps the Score , start there! Grab some tissues, you might have some awakenings of your own. The good news? Your mind is flexible and wants to heal, as does your body – it just might take a little more discomfort first. I grew up with some recipes that were not so much from scratch, but were my favorite comfort foods nonetheless. Meatloaf made with the onion soup packet? Check. 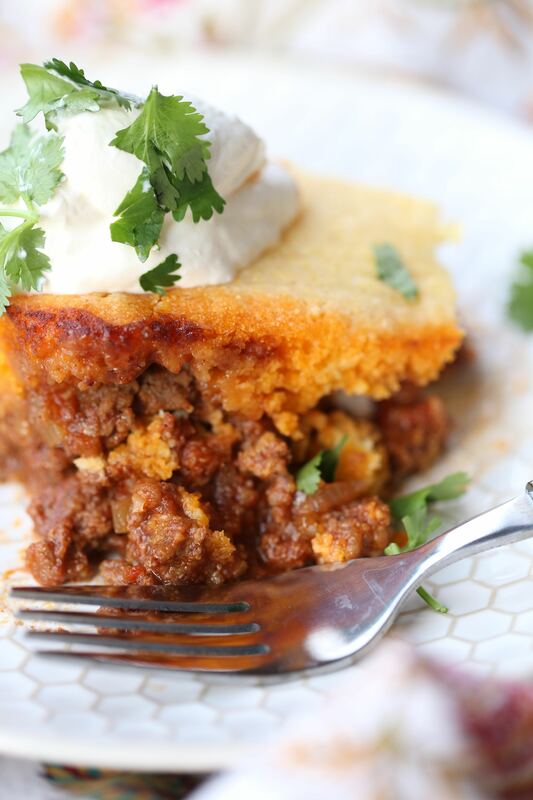 Shepherd’s Pie made with instant mashed potatoes? Check. 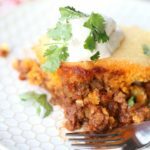 Tamale Pie with boxed Jiffy cornbread mix? CHECK! I’ve been wanting to remake this one for awhile and the funny thing is about revisiting childhood is memories of good sometimes come flooding in with the not so good. 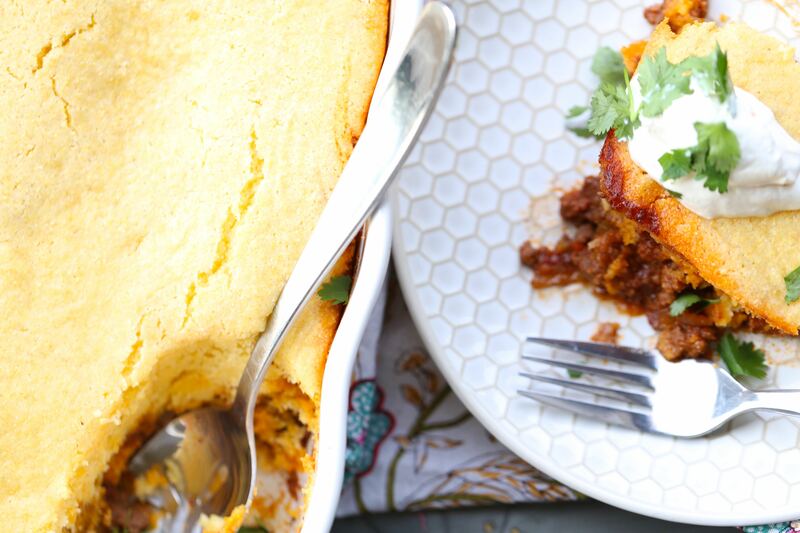 That’s actually pretty good news if you ask me, because I’m a real big fan of Tamale Pie and I’m real glad unboxing parts of my past opened up the memory of comfort food. So if you’re ready to pull on up to a big plate of feel good, give this one a shot. I saved you a seat.